We track millions of social media posts and use machine learning to determine sentiment for 200+ of cryptocurrencies in real-time. 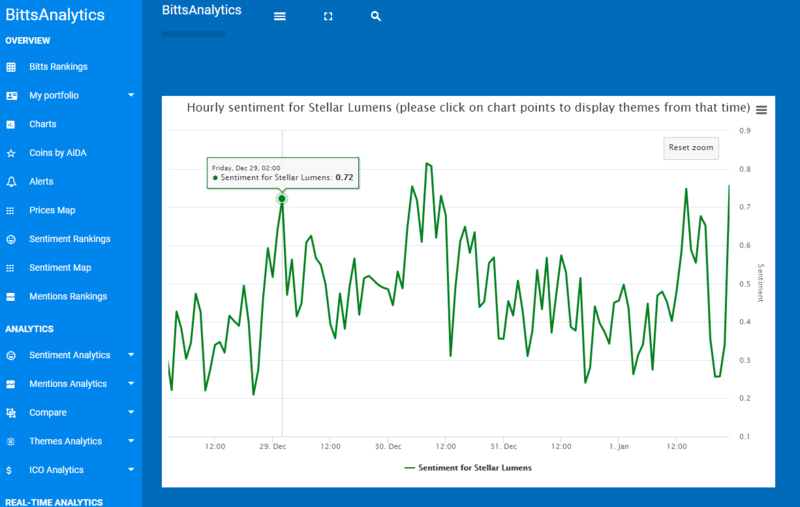 Below is real-time sentiment of tweets mentioning Stellar Lumens over the last few days. The hourly sentiment of Stellar Lumens surged on 29 December – 2am UTC time. As we have already posted in other such cases in the past this means a major bullish signal for the price and indeed the price of Stellar Lumens has since then rallied by almost 120%. 29th December was also the day when the tweets mentions of Stellar Lumens also dramatically rose, almost by a factor of 2. See the chart below of daily tweets mentions and daily sentiment. 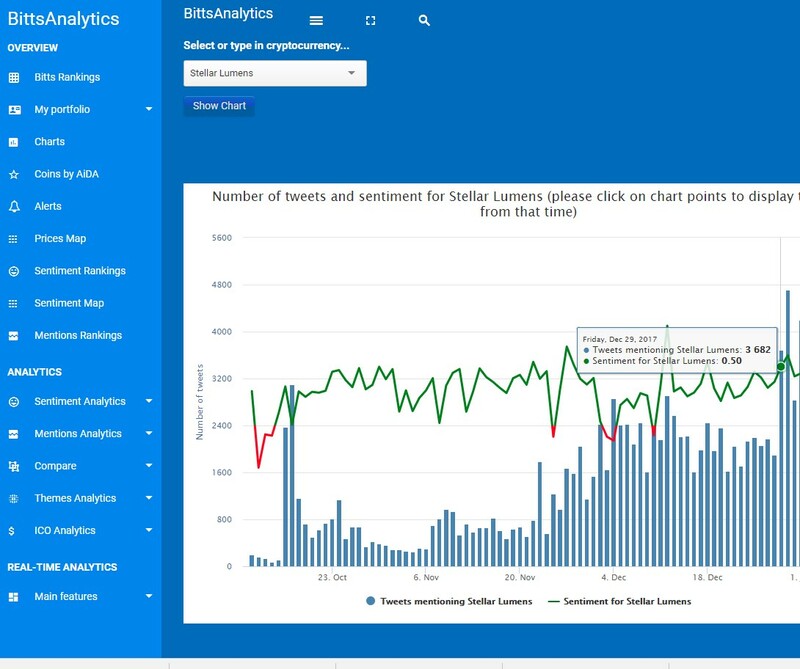 You can start using sentiment and tweets mentions data like this by subscribing to our platform at www.bittsanalytics.com.